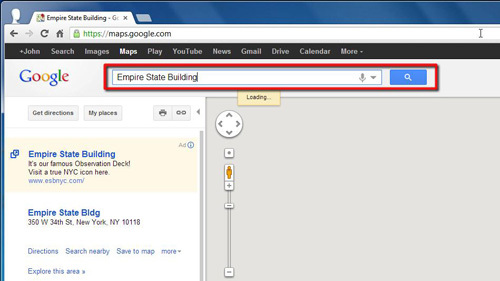 In this tutorial you are going to learn how to get google maps latitude longitude. 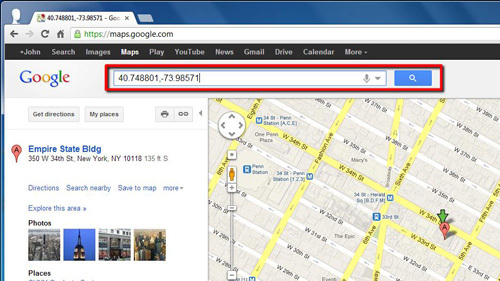 First of all you need to open Google Maps, go to “www.maps.google.com”. You need to bring up what you are looking for on the map. You can either do this by zooming in, or searching. In this example we are going to find the latitude and longitude of the Empire State Building. Type this into the search box. You will see that the map has zoomed in on New York City and a marker has appeared where the Empire State Building is located. Right click on this marker and in the menu that appears click the “What’s here?” option. You will see in the search box at the top that a set of coordinates has appeared. The first one is the latitude and the second one is longitude and that is how to get google maps latitude longitude. You can repeat this process for any point on the globe.